The term ‘trade show’ likely conjures up visions of endless avenues of blue drapes, promotional stress balls, blank-faced exhibitors, and enough lanyards to lasso the entire Texas Stampede Rodeo. But what it should conjure up is ROI. Here are tips to get the most out of your next trade show. And by ‘most’, I mean LEADS. Having been both a trade show attendee and exhibitor for a wide range of industries like food and beverage, tourism, web design, and technology over the past 25 years, I’ve given out and collected my share of stress balls over the years. I’ve attended trade shows of all sizes - from small regional conferences to massive super shows with 50,000+ attendees spread over acres of exhibit space. After stuffing my business card into thousands of lucite boxes and spending endless hours making 30-second product pitches, here’s what I’ve learned about how to prepare for trade shows and what to do to maximize your return on investment. Before you start planning and setting specific trade show goals, you need to be sure to select the right conference, convention, or trade show for your business goals. Exhibiting at trade shows is generally not a cheap exercise - there are exhibitor fees; the cost to have a display booth designed; swag; flights, hotels, and meals for you and any team members attending; and the cost of your time to be there. We’re talking thousands of dollars, so you need to be sure this trade show is the right place, attracts the right people, and will hopefully deliver the right sales leads. Most trade shows provide information in their promotional materials about what kind of people attend, what they’re looking for, and what the attendance was like in years past. So do your research to ensure their target audience matches your target audience before you order a single stress ball. Whether the trade show is B2B or B2C, small or large, it’s important to set business goals and map out a lead generation plan prior to attending the show. How will you define success? Is by increased sales? Sales leads? Employee recruitment? Product feedback? Investment? Here at Proposify, when we attend trade shows our primary goals are to increase awareness about how our proposal software can help businesses grow, and to sign people up for a trial. We’re looking for B2B trade shows with attendees who use proposals to generate new business, like agency owners and managers, sales professionals, and people in business development. A secondary goal might be to meet potential new partners for integrations and investment, depending on the trade show. Whatever your goals are, it’s critical to figure out how you will measure the success of the trade show so you can decide whether it was worth your investment and worth repeating next year. 3. Bigger isn't always better. I’ve exhibited at huge B2B trade shows that looked amazing, were located in large city centres, and charged big bucks, but in the end I experienced very low ROI. On the other hand, I’ve also participated in trade shows that were less expensive and with smaller attendance but the attendees were a better match for my target audience and far more engaged. It truly is about quality over quantity. So pay close attention to points #1 & #2 and don’t get distracted by the glitz and glitter of large shows in fancy pants locations. It is a fact of trade show life that there will always be a certain percentage of attendees who are only out for the free giveaways and not really interested in doing business. Learn to spot a tire kicker when they show up at your display booth so you don’t waste a huge amount of time selling to them when they have no serious interest in your product. You don’t have to be rude, but you’re also there to do business. You need to move on. Keep this in mind when budgeting for your trade show swag and other promotional materials. You also might want to have some sort of qualifying activity before someone can take home your t-shirt, coffee mug, or that magical stress ball. When I’m at a trade show marketing Proposify, we have these cool “Coffee is for closers” shirts and hats that people really like. I usually chat with an attendee a bit first to determine they’re not tire kickers and that they’re genuinely interested in our solution. Then I’ll offer to sign them up for a free trial and as a reward, I give them their choice of a hat or t-shirt. I found there to be a lot of tire kickers at trade shows in Florida. 5. Choose the right location for your trade show booth. Once you’ve decided on a particular trade show, the next decision is around space selection. I like to chose an exhibit space near the food and beverage stations because there’s usually lots of traffic. Some people prefer their trade show booth at the corners of aisles or near the entrances for better visibility. Others feel there’s an advantage to being close to your competitors, which can be a good way to reach your shared target audience. If you do have a preference for your trade show booth location, make sure you reserve as early as possible. Seasoned exhibitors know the sweet spots and some of them even book for the next year as soon as this year’s show is over. Premium spaces go quickly so you have to act fast. 6. Keep the design of your trade show booth simple but attractive. Your trade show booth design does not have to be flashy or technical as long as it fits your brand and the message you want to communicate. You don’t necessarily have to spend tens of thousands of dollars on your tradeshow booth (although you easily can!). Sometimes you can look just as sharp and professional with a simple, well-designed pop-up banner and some good promotional materials, costing you just a few hundred dollars. Consider your long term trade show activity before investing big bucks in a trade show booth. If you’re only going to go to one or two shows a year, you may not want to spend $20-30K on a booth with all the bells and whistles, unless those one or two shows deliver big sales for you. Remember your ROI and make decisions accordingly. Also, keep your messaging simple and straightforward. Attendees are being inundated with messages while they walk through the exhibit hall, so you need to be precise and targeted in how you present your company. Don’t clutter up your banner or booth design with too many words, images or logos, and make sure all of it can be easily seen, and read, from the aisle. They should get a sense of who you are and what you do as they walk by. You can fill them in on all the exciting details once you have their attention. This company has waaaaay too much text and information on their display. There’s too much to read. You need to communicate quickly what you do. And this company has too little text. Who knows what they do? Breed frogs? I can tell what this company does in a matter of seconds. Regardless of how fancy your trade show booth is or how cool your giveaways are, the most successful booths are the ones that have dynamic booth staff. The people staffing your booth are representing your brand. You need to choose who best represents your brand and knows your product or service inside out. You need personable, assertive people who are clean, tidy, and professional in their dress and friendly in their approach. You want to make sure you’re not staffing your booth with any of these types. That doesn’t mean everyone has to wear suits but you should establish a dress code that matches your brand. That may be a suit, or perhaps a branded shirt, or everyone wears a particular colour palette. As the owner/manager, you are the coach of your team. So be sure everyone is ready before they step onto the exhibit floor. 8. Rent stools instead of chairs for your booth. It’s a long day working a trade show booth and your staff will get tired standing but with stools they can rest their feet between meetings while still looking engaged. Sitting in chairs can make your staff appear uninterested and well, lazy. 9. Visit other trade show booths. One of my favourite things to do that helps maximize the return of a trade show is networking away from my booth. It's easy to overlook this, especially when you’re likely busy at your own booth but it can be a valuable tactic. Visit other booths and introduce yourself to people who could turn out to be potential clients, channel partners, etc. Step outside your comfort zone and introduce yourself to new group of attendees or exhibitors each time you go to eat or grab coffee, for example. Strolling around the exhibit floor can also give you insight into how other people design their booths, their setup, and how they’re engaging with attendees. Plus you can check out the competition! A really valuable way to maximize your impact at a trade show is to find a speaking opportunity. Most trade shows are either attached to a conference or the trade show itself hosts workshops sessions, and panels with various speakers. Hosting an information session on your topic will introduce you to an audience who might not otherwise find their way to your booth and helps position you as an expert in your field. It definitely widens your reach. Maybe your session is a demo of your product, or you speak on a topic that’s relevant to your industry. Or maybe you’re one of a few speakers on a panel. 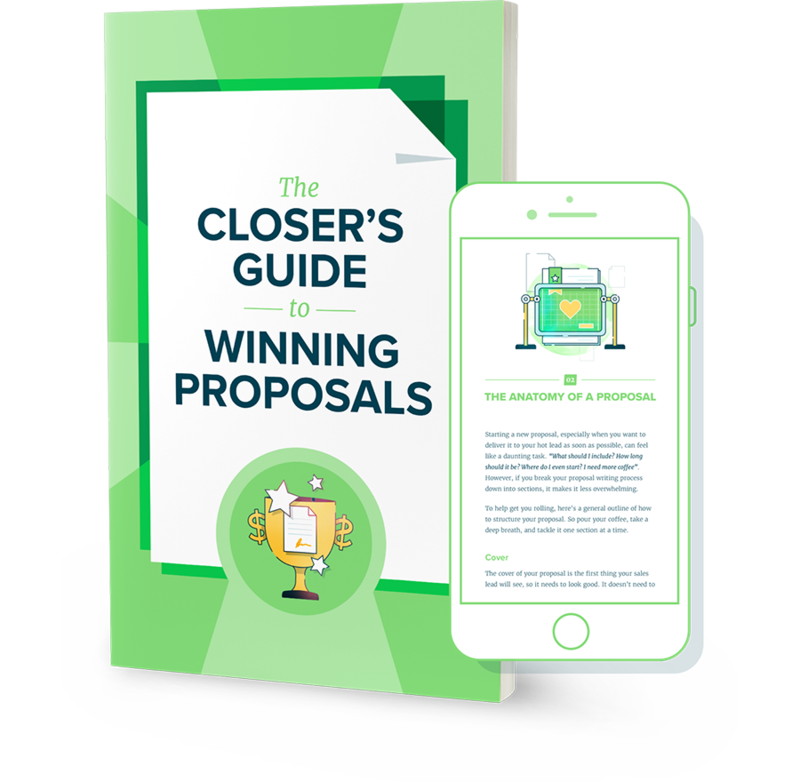 For example, when Proposify goes to a trade show, we might host a session on how to improve your proposal close rate or how to use proposal software to streamline your sales process. While you shouldn’t necessarily do a hard sell of your product or service during your presentation, make sure your audience does know who you are and what company you’re representing. Be sure to incorporate some kind of CTA to either gather leads right there, get people to come by your booth later or visit your website so you can further qualify them and get them into your sales funnel. 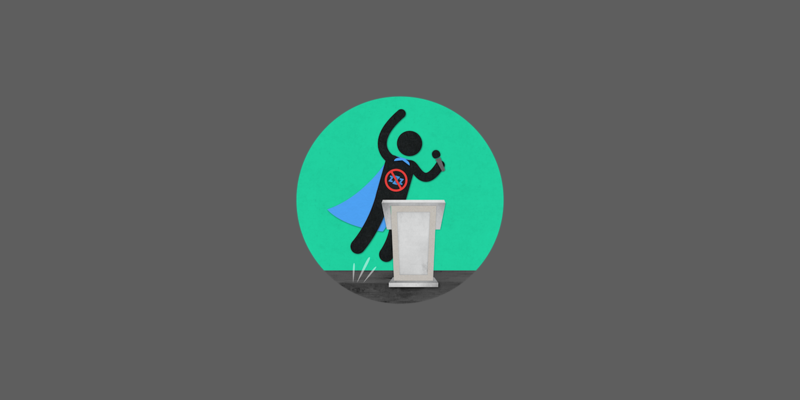 Check out this post for some tips on being a great speaker. Try to collect the emails of qualified leads so you can follow up later. You can reward leads who give you their email with swag, which we talked about earlier. Have them leave their business card, fill out an info card, or enter their information on an iPad or computer at your booth - however you do it, keep it simple for everyone. If you can make your own notes about particular details on the conversation so you can be more specific and personal in your follow-up. Just make sure you’re getting the emails of people who are part of your target audience. There’s a lot of work in following up and you don’t want to waste your time on those pesky tire kickers. Fortune really is in the follow up. It doesn’t matter how many emails or business cards you collected at the trade show if you don’t do anything with them. You gotta work it! When you get back to the office, follow up promptly with all your leads to keep the conversation going and the potential deal warm. Leads left unattended will quickly grow cold in today’s fast paced environment and they’ll either forget you or get scooped by the competition who may be a little faster on their feet. One thing I’ve found helpful is to have your follow-up email drafted before you even leave for the trade show. That way you just need to do edits to customize for each lead when you get back and you’re ready to rock. Our friends at Hubspot have some helpful templates for follow-up emails. Once you’ve returned from the trade show and followed up with your leads, be sure to review the original goals you set out prior to attending. Look at the number of quality leads you generated versus the amount of money you spent. 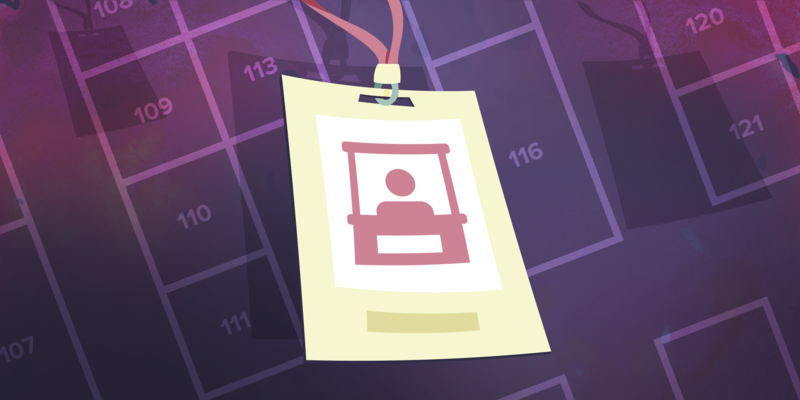 By tracking your success, you can figure out which trade shows are the most successful, and which ones are worth returning to next year. A serial entrepreneur since the days before the internet (gasp! ), Kevin’s extensive business acumen and sales experience makes him and Kyle the perfect co-conspirators.